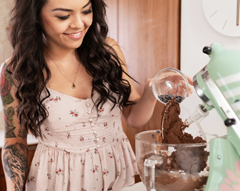 Did you know you can make vanilla extract at home?? Yes! And did you know it requires only TWO simple ingredients: vodka + vanilla beans. 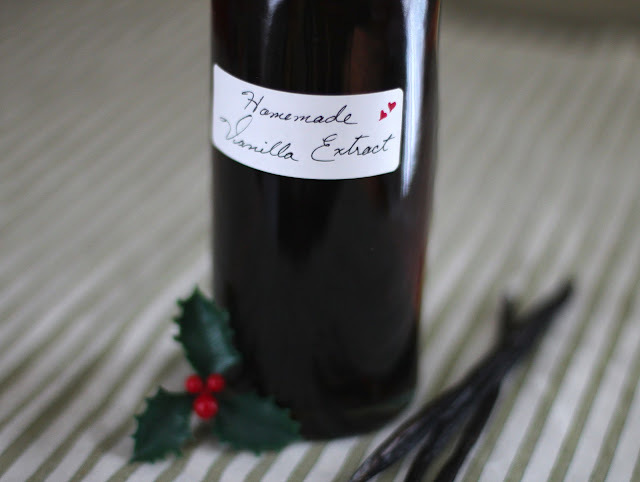 If you get start on a batch of this Homemade Vanilla Extract soon, it will be in perfect condition to give away during the holidays. 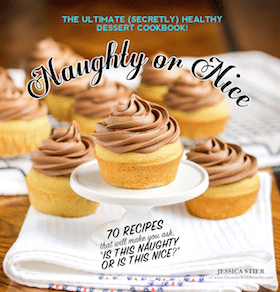 This is quite honestly THE ideal gift for the baker or dessert addict in your life. Nearly every single baked good and dessert recipe calls for vanilla extract. I know for a fact that if I got a bottle of Homemade Vanilla Extract for Christmas, I would be over the moon happy and probably want to kiss you eight thousand times. Thoughtful gifts just do that for ya. This is a gift so good you will get hugs and thank yous and dancing and clapping. It smells good too. Kiddos can have their fun with their scented markers, us adults can live our lives sniffing bottles of vanilla. 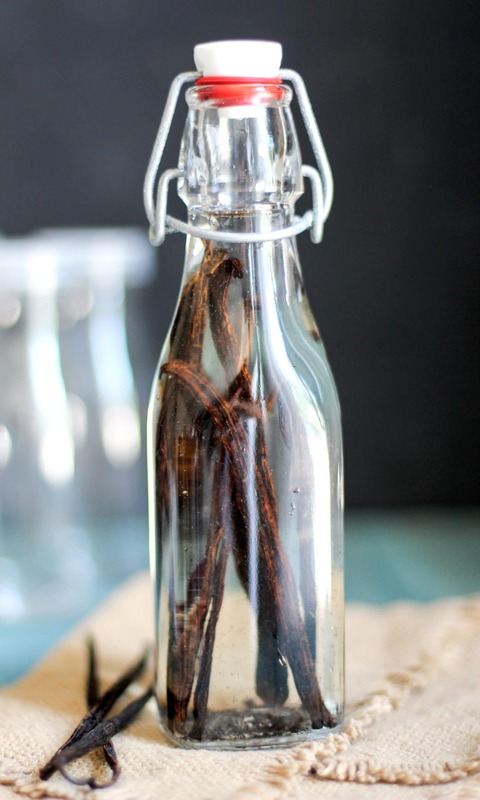 Did you know you can make vanilla extract at home?? Yes! And did you know it requires only TWO simple ingredients: vodka + vanilla beans. 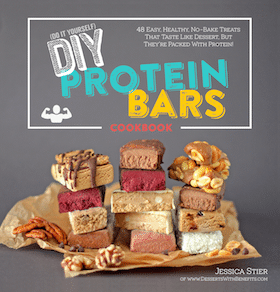 This makes the PERFECT gift for the baker or food lover in your life! Slice the vanilla beans lengthwise, just enough so that you pierce through one side of the bean. 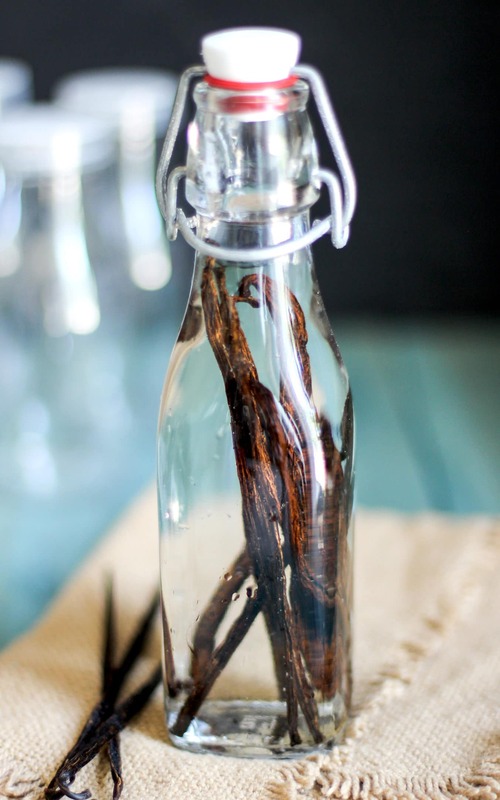 Place the vanilla beans inside a bottle and cover completely with the vodka. Top with a lid. Shake the bottle vigorously, then place in a cool, dark place (like a cupboard or your pantry). Shake the bottle every day for 4 weeks (I put a daily reminder on my calendar so I wouldn't forget). For the next 4 weeks you can shake it less often, like ~3x a week. Vanilla will be ready to use in 8 weeks. Shake before using. ^^ Day #1: the mixture will be clear. ^^ Week 8: the mixture will be dark brown, just like storebought kinds! OK, so I’ve been making vanilla extract for awhile. And Pinnacle Whipped is the only alcohol I will ever say I love. And I cannot believe I did not think about combining the two! THIS IS GENIUS! OMG OMG OMG! When I looked up Pinnacle whipped, the price was right and it sounds amazing for making extract! However, I believe the label says it’s only 30%(60 proof). Many recipes said to use 35%-40% (70-80 proof.) Will it be ok to use the 60 proof, or do I need to add stronger plain vodka? With the current price of vanilla beans, I really don’t want to mess this up. Thank you. OH whoa. This is amazing. It definitely beats using regular vodka! WHOA WHOA and another WHOA. You may have just changed my life! This is genius. Wanted to make something for Christmas gifts and this is perfect. I love this idea! I’ve been searching for the best homemade vanilla recipe and I think this one takes the cake…or soon to be cake. Yum! I buy flavored vodkas like this one for drinks like “Smores Cocktail” and then have all this leftover super sweet vodka. This recipe will get rid of that problem. But I wonder how many calories end up in the finished product? Does it give it a whipped flavor too? I wonder if we did this with the Marshmallow flavor, if it would be a marshmallow-vanilla extract? Or would we need marshmallow root too…hmmm! Well thank you! I love homemade, do all vanilla extracts have alcohol in them! Not sure I like the idea of using it for my vanilla extract as I find it would make it very “fake” and “unnatural” tasting, but you just gave me an idea: I have this Cuban cherry liquor at home… now that could be totally fan.tas.tic! Have to give it a try! Hi Jessica, You are aware that the sweet tasting vodkaa like this Whipped does actually have sugar in it, yes? This one has 6.8 sugars per 1.5 ounces. I think there are some low-carb vodkas out there (or at least there are some sugar-free ones) so you can definitely try those out! Hi Jess! Were you successful with the alcohol-free version? Love this idea. Most Vodka is made from grains (potato, corn and quinoa vodka is harder to find). If you use pinnacle, whipped cream vodka is it gluten free? And yes, Pinnacle Whipped Cream Vodka is gluten-free. The majority of their products are GF actually! What do you do with the vanilla beans after the 9 weeks? Do you need to strain them out? You can either keep the vanilla beans inside the bottle or use the beans to make Homemade Vanilla Paste! Jessica…….did you cut the vanilla beans in half? Will the seeds escape if you do? You don’t want to scrape the seeds out of the pods though. My bottle held 1 cup/8oz. If yours only holds 3/4 cup/6oz, you’ll only need 6-7 beans (6 large or 7 smaller). Also, if you halve them do you still need 9 beans? And also, what ounce bottle do you use for your vanilla? I think mine is about 3/4 cup. I love making my own vanilla extract, I’m also making lemon-, orange-, raspberry- and chocolate extract. I once tried making peppermint extract, but after one day already, the leafs get all soggy and it stinks.. Any idea what I’m doing wrong here? As for the peppermint, I have no idea why that could be happening. I’ve never made peppermint extract before so I’m not sure what it’s supposed to look like. Do you leave the beans or take them out after the 9 wks? How long does the vanilla extract & paste last for? Alcohol acts as a preservative. But, just to be sure, make sure your vanilla beans are very fresh and check if your alcohol has an expiration date. For those who use sugar, you can also put the used beans inside a container with sugar to make vanilla sugar. Scented sugar scrub anyone? 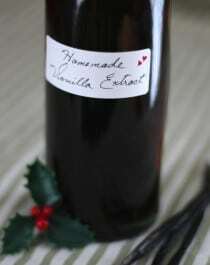 My fiance made me homemade vanilla extract for me one time as a gift! I still have the giant bottle he made – that stuff lasts forever. Anyone have a link to buy the bottles like these. Want to makes this as gifts. Where do you source the beans you use? there are so many places with varying degrees of quality and prices; especially now that there is a world wide shortage ? I get my vanilla beans off of Amazon.com… I’d recommend browsing through them because they have a ton of different varieties (different locations, different lengths, etc.). And I never heard about any worldwide shortage? Do you know how much ml a cup is? around in there, they would pour our when using it. Also since some of the bean is pulsed up in the paste is the ratio right or would I need to add a few more whole beans to get the flavor right? Wow what an awesome website! I am so inspired. Who knew it was that simple? So worth the wait though I’m sure! !